Using professional skills and experience to brighten the days of isolated seniors. Rosalie Rudegeair has been a volunteer companion with Dolphin Companions since last summer. The retired medical social worker and her husband, a retired healthcare administrator, recently relocated back to the Philadelphia area after long, rewarding healthcare careers in the Hazleton, Pa. area. Volunteering had always been part of their lives. Now from their new retirement home on the Main Line, they were looking for new local volunteer opportunities. 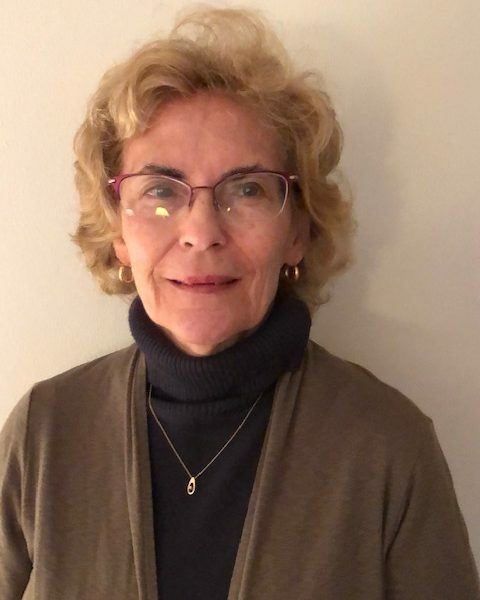 The Dolphin Companions program felt like a good fit to Rosalie when she heard about the opportunity at her parish, Our Mother of Good Counsel in Bryn Mawr. Episcopal Community Services (ECS) operates the Dolphin Companions program whose singular goal is to eliminate the loneliness of isolated seniors. The Dolphins subscribe to a one-to-one philosophy. Each volunteer, known as a Dolphin, visits a nursing home resident that they are matched with, becoming a special friend to that person. In the Hazleton area, Rosalie was an experienced volunteer with many hours of service contributed to the American Cancer Society and Catholic Social Services. Now she visits several residents every week at Bryn Mawr Terrace, a nursing home near her home. Rosalie visited a retired medical school professor weekly until he declined. She is currently spending time with a cognitively impaired woman who yells a lot and likes to watch movies. One of her recent companions improved and was discharged. In the spirit of retention, a challenge for many social service agencies who engage volunteers, Rosalie mentioned that Marilyn Knox, Dolphin Companions coordinator, is particularly professional and nice to work with. “I really appreciate her feedback,” she said. Because of Marilyn’s advocacy on her behalf, Rosalie continues to grow and learn as a volunteer. As a Dolphin, Rosalie is using her professional skills and experience to brighten the days of isolated seniors. She said it was very important to her personally “to give back and to serve in her capacity” as a Dolphin Companion.